Tickets will be available for purchase with cash or credit at the door starting at noon on Friday, October 17. 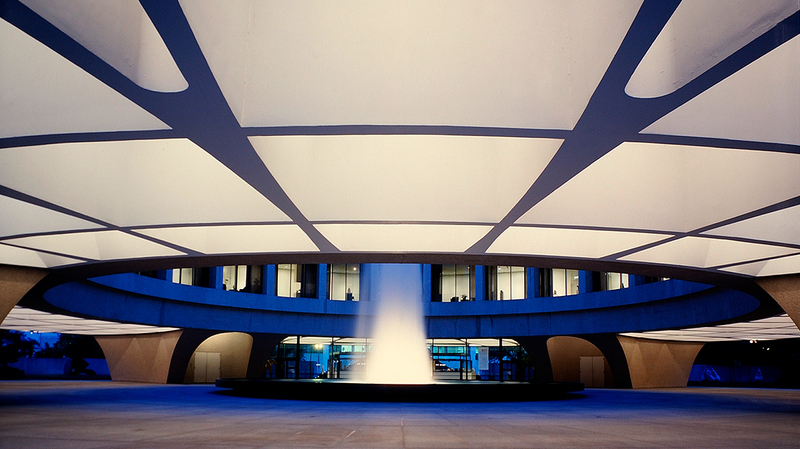 In October 1974 the Hirshhorn Museum opened its doors for the first time. Artists, dignitaries, patrons and lovers of art converged on Washington to take part in a series of gala events celebrating Joseph Hirshhorn’s gift of art to the nation and to view the Museum’s inaugural exhibition. It is in this spirit that we invite you to join us on October 17 to mark the 40th anniversary of the Hirshhorn Museum, view our new exhibitions Days of Endless Time and At the Hub of Things: New Views of the Collection, and to be part of the dynamic future of the Hirshhorn and the Smithsonian. The evening includes late-night gallery hours, curator-led tours, film screenings, and a live performance by Zola Jesus. Be among the first to view the newly renovated Third Level galleries, which have been restored to architect Gordon Bunshaft’s original design. The debut exhibition, At the Hub of Things: New Views of the Collection, offers a freshly conceived presentation of works from the past 75 years. Galleries are organized around ideas such as history and memory, personal symbolic systems, the overlap of Pop and Minimalism, and the classical figure. Curator-led tour at 8:30 pm. In a world conditioned by the frantic, 24/7 flow of information and the ephemerality of digital media, many moving-image artists are countering these tendencies with works that emphasize slower, more meditative forms of perception. Days of Endless Time presents fourteen installations that offer prismatic vantage points into the suspension and attenuation of time or that create a sense of timelessness. Themes include escape, solitude, enchantment, and the thrall of nature. Curator-led tour at 9:30 pm.